Website traffic is a key performance metric in digital marketing. In fact, website traffic is one of the big three digital macro-data points that also include average order value and conversion rate. These three variables are critically important because they all directly impact revenue. From a high level, it is easy to understand that elevation any of these three metrics will positively impact revenue. You might even say that the job of an SEO, digital marketing professional, or e-commerce manager, in a nutshell, is to increase traffic, AOV, and CR. Although this may be true, it’s easier said than done. In time we will discuss the micro-optimization of AOV and CR but in this post, I will focus exclusively on traffic. What are the factors that influence the amount of traffic that reaches your website? In order to understand your website’s traffic, you must first break the contributing variables that influence traffic into two categories, direct and indirect traffic influencing variables. Direct traffic influencing variables are those that can be directly measured while indirect variables account for lost traffic which is typically not measurable and difficult to identify. Creating a strategy that is designed specifically to address both direct and indirect traffic variables is the micro-optimization of website traffic. Let’s break down each in order to illustrate the steps necessary to increase the total traffic to your website. Over 50% of global website traffic in 2018 came from mobile devices. SERP Ranking – SERP is an acronym for search engine reporting page. Ranking on the first page of Google or Bing’s SERP is probably the most important direct traffic influencing variable. It is well known that most people using a search engine to find content or products online never go past the first page of search results. Although exact numbers differ from study to study, I can say with confidence that somewhere between 75% and 95% of searchers only view the first SERP. SO, in order for the SERP to influence your website’s traffic, you need to appear on page one. There are many factors that will rank you on page one of a Google search. Understanding your current position in SERP will help you create a high-quality traffic driving strategy. SEO – SEO stands for search engine optimization. These are the things one can to get the attention of search engines in order to move up in search results. Although one could argue that just about anything you do to your website could be considered SEO, the examples below are website improvements that will improve your search performance, sometimes called technical SEO. Site Map – A site map is a file that is designed to help search engines figure out what your website offers and who your most relevant audience may be. Sometimes the site map is referred to as the XML site map. It is your responsibility to make it as easy as possible for Google to understand your website. Page Load Time – Believe it or not, seconds really do count when it comes to website and page load time. This is true for two reasons, site speed is part of Googles SERP algorithm and people are impatient. The bottom line is that slow sites don’t convert very well. Check out this great article from the Crazy Egg blog packed with advice to help you speed up your site! SSL – Secure Sockets Layer, commonly referred to as SSL is a type of certificate that ensures users that a website has a secure method of encryption and authentication in place. SSL is a method of verifying that there is a secure connection in place between the user and the associated server. Some browsers will flag websites without an SSL certificate in place as being untrustworthy causing would be customers to bounce before entering a website. Responsive Design – Responsive design is an absolute must today as over 50% of global website traffic is generated by mobile devices (2018 Statista study). This means that as much half of your web traffic could be from smartphones. If your website is not optimized for mobile, you could be missing out on sales. In addition, you may be frustrating your visitors forcing them to seek out your competition. Do whatever it takes to mah=ke your website mobile friendly! Structured Data Markup – Structured data is used by search engines to understand the content on a webpage. Remember bot crawl websites, not humans. The structured data helps bots understand your site better so they can index the content and display it in response to relevant searches. In order to optimize your structured data, you will need to access the websites HTML. If you are unfamiliar with this process, you may want to ask your developer to assist you with the process. Here is a nice article from Google to help you understand what needs to be done to on your site. Email Marketing – We all know the importance of email marketing as a key component of your digital marketing strategy. 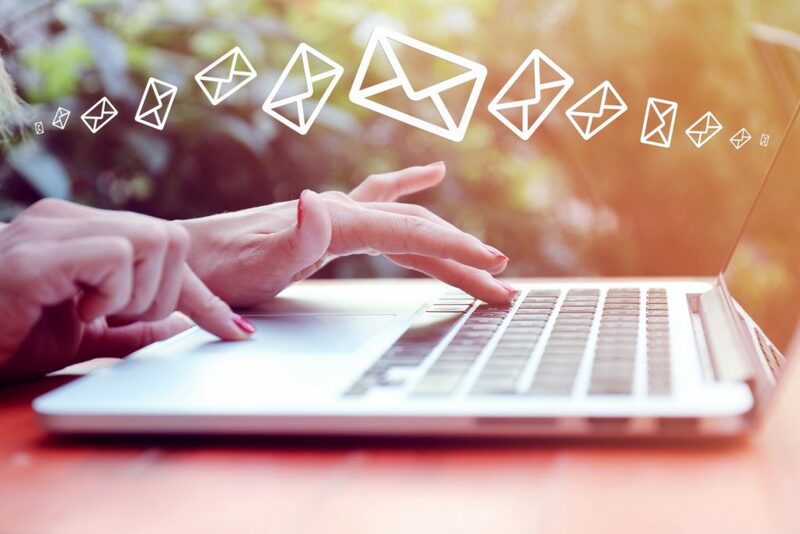 However, email marketing can also have a significant impact on your website traffic and your SERP ranking especially if your email list is large. Think about it like this, traffic is a factor in the Google search algorithm. Email marketing is a great way to drive more traffic to your website. More specifically, it is a great way to drive traffic to specific pages on your website like blog posts or product pages which helps highlight specific content and keywords and improves page rank. And, because the campaign analytics are available on most email marketing platforms the optimization process is fairly straight-forward. Paid Advertising – At some point along digital marketing journey paid advertising becomes a simple reality. However, both PPC and AdWords have great ROIs and can serve as a terrific traffic generator. One of the best things about this source of traffic is that it can be micro-optimized fairly easily. There are some great keyword and campaign tools available like SEMrush and Moz Pro that can help you every step of the way. Blog and Static Content – Think of your content in relationship to your traffic. The quality of your dynamic content like your blog can help drive return traffic. If people value the content on your site, they will return periodically for updates. Promoting your content through your brand channels is much more likely to drive quality traffic to your site than top-funnel PPC campaigns which typically have a high bounce rate. As for your static content like product and category descriptions, your copy should be designed to be compelling and tactfully include as many of your target keywords and phrases as possible. A bot indexing your site should be able to recognize you as a subject authority for your goods and services. Think like your customer using a search engine to find your products and build your copy to be relevant to their queries. Drive as much traffic from email marketing as possible. UX and Site Design – A good digital experience is an important part of building a loyal community. However, a bad digital experience will cause visitors to leave your site, never to return. There are several different ways to analyze the user experience of your website. Probably the most effective way to really understand how people interact with your website is to create a focus group, real users navigating your site with specific assigned goals. This type of feedback is invaluable but it is difficult to organize and time-consuming. If you are not interested in organizing this sort of group locally, there are some good services that can help you automate the process of user testing like User Testing and trymyui.com It is important to understand how visitors interact with your website. In addition to live user testing, there are some great heat-mapping tools that will provide some insights into user behavior on your site like Crazy Egg, Hot Jar, and Tableau These services provide a graphical representation of how people interact with your website. Competitor Analysis – It is very important to understand your competition because you are competing for the same traffic. If your competition is doing something better than you, it is likely they will gain customers that could be yours. Follow your competition and try to understand their strengths and weaknesses. You may not be able to match all of their strengths but you can definitely exploit their weaknesses. Content Comparison – What are your competitors producing and what are their strongest promotional channels? These are important questions to ask when planning your own content strategy. You must do better than your competition in some if not all areas! Product or Service Pricing – Here is the truth, people will purchase the best product, for the best price that is within their budget. You must understand your customer and hit their sweet spot in terms of price and quality. Channel Optimization – Find out where your competition is not and be there in force. Find out where your competition is lightly committed and commit there heavily. Find out where your competition is strong and try to be stronger. Acquire as much traffic from each channel as possible. Customer Service – Customer service and traffic optimization go hand and hand. Creating return traffic and lifetime customers can definitely be achieved by excellent customer service. On the other hand, it is very easy to lose customers as a result of poor customer service. Make sure you are doing everything in your power to create the best customer experience ever. When a customer has an issue, it is the perfect opportunity to create loyalty. Do what it takes to make your customers happy! Off-Page Optimization – Off-page optimization refers to the things that happen outside of your website that impact your traffic and your SEO. These things improve brand visibility and search engine rankings. Social Media – Great social media is a fantastic way to demonstrate your brand’s authority and message. Studies show that millennials are very loyal to the brands that they identify with and interact with on social media. 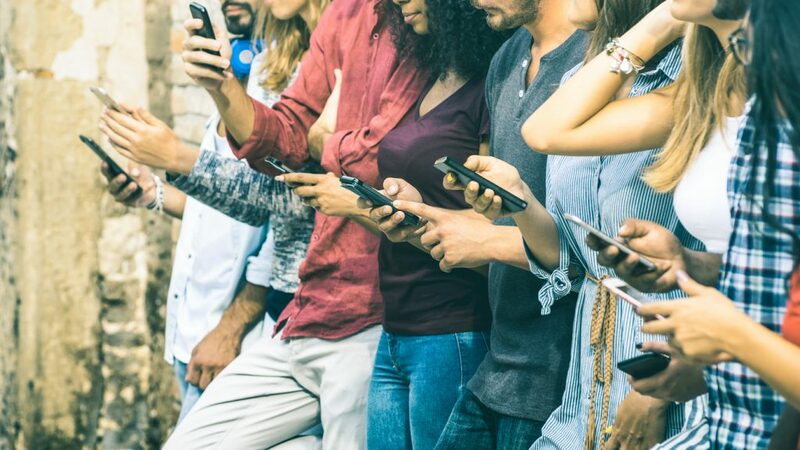 Social media is your chance to humanize your brand and make a very personal, albeit digital connection with your fans and customers. In addition, social channels are perfect for driving traffic to your website. Backlinks – The term backlinks refers to others creating a link to your site from their site. One of the ways search engines determine the authority of your site is by evaluation the high-quality backlinks you have. The idea is that if reputable sources across the internet are referring their visitors to your website that you must have some level of subject matter clout. Acquiring quality backlinks is no easy task but it can be incredibly powerful in terms of search rankings. Basically, you have to produce content that other experts in the field would be willing to share. Influencer Marketing – Influencer marketing relies on the suggestive power of popular figures to propel your brand. Although influencer marketing had been very popular over the past couple of years, it is as old as advertising itself. Instagram has created a platform that can reach millions of people very quickly. Influencer marketing leverages the quality of celebrity. Although influencer is much less labor intensive than acquiring high-quality backlinks, it can be quite expensive and is not right for every brand. Brand Mentions (unlinked) – Let’s face it, anyone mentioning your brand in a positive light is valuable especially is the mention comes from a high profile source. Although unlinked brand mentions don’t play heavily into search algorithms, they do have limited potential to pique readers curiosity motivating them to explore your brand on their own. Shipping Rates – Optimization of your shipping policy as it relates to your traffic has two primary components, your competitions shipping prices and your ability to create return visitors. If your competition offers free shipping and you don’t, all other things considered equal, most customers will buy from your competition. Amazon Prime is a perfect example of this e-commerce truth. Secondly, if your customer experiences sticker shock when viewing your shipping rates the will abandon their shopping session and probably will not return to your site. Getting shipping right takes some time and experimentation. Every customer base will respond to shipping costs a little differently. Explore your competitions shipping policies and run some tests on your site. Eventually, you will find the perfect shipping options and rates. You must be obsessed with growing the amount of traffic that visits your site. 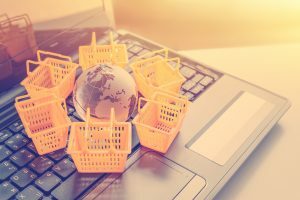 If you break out each of the shipping variables defines in this post and micro-optimize each one individually, you will see your traffic increase. Take the time to address each variable individually but don’t stop until you understand every dynamic of each traffic related variable, direct and indirect. Eventually, you will see a traffic tipping point where it will begin to grow organically because of your efforts. Stay focused on the fact that more website traffic equals more conversion which equals more revenue!